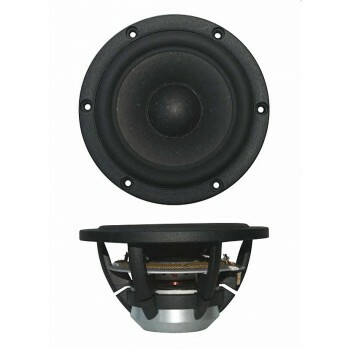 SB Acoustics Satori MW13P-8 Midwoofer £90.95 EXCL.VAT. State of The Art Neodymium magnet 5" 8ohm midwoofer, Papyrus Paper cone, HE rubber surround, BiMax spider, and a glassfibre former with copper sleeve pole piece. SB Acoustics Satori MW13P-8 Midwoofer is a State of The Art Neodymium magnet 5" 4ohm midwoofer, featuring a proprietary Papyrus Paper cone, a high efficiency low damping optimum response rubber surround, BiMax spider, and a glassfibre former with copper sleeve pole piece. Priced individually, supplied in pairs.